PL-9 is a 1U rack or desk mount hub which provides up to 7 individual connections to chains of PL devices, offering 'star wiring', simplifying wiring and eliminating the need for complex daisy-chaining. 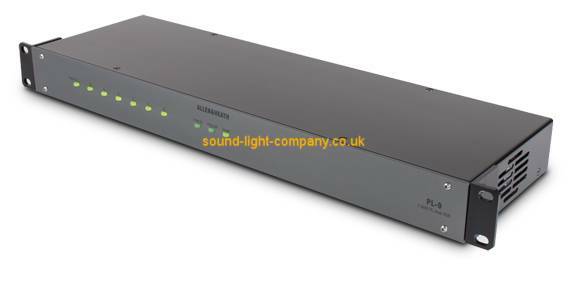 This also provides the benefit of longer cable runs and allows easier 'plug and play' of devices such as the PL-6 and PL-10, and allows a larger number of PL controllers to be connected to a single iDR unit. As the PL-9 is the 'end of chain' on a PL-Anet branch, it offers greater flexibility by allowing PL wallplates to be plugged in and out easily - for example, a PL-6 could just be plugged into a PL-9 onstage, allowing local performer control, then removed after the event.